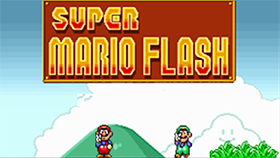 Super Mario Flash 2 is the second part of this action series. This game has unique 3D graphics, suitable for all ages. You can experience this game on your browser because it is a flash game. In this part 2, you will be choosing Mario or Luigi to join the mushroom kingdom. 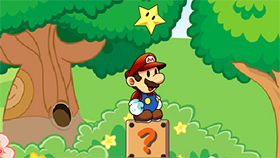 You will continue to face familiar characters in Mario Games, like Goombas, Mole Men, Koopas ... Your task is to get through all the obstacles and reach the destination safely. The most interesting point in this game is Yoshi. You can find Yoshi in brick squares and you can ride Yoshi by jumping on its back. Even Yoshi can breathe fire if you collect a red shell for it. 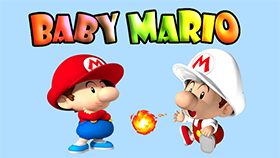 If you like this game, you can also play others games with the same game play such as Super Mario Bros, Mario Fire Cave Adventure… or you can play the first part named Super Mario Flash. Use space to fireballs / select a level. Use X to fly / jump off.